Applications by by 31st December 2007. The Prize “Sustainable Architecture”, founded and promoted by Fassa Bortolo and the Architecture Faculty of the University of Ferrara on the occasion of the tenth anniversary of its foundation, aims at spreading the concept of a new architecture perfectly adjusted to the environment and able to satisfy the needs of these generations without restricting those of the future ones through the indiscriminate exploitation of the resources and the resulting pollution. Registration by Dec 31st 2007. To mark the election of the Maya city of Chichen Itzá as one of the New Seven Wonders of the World ARQUITECTUM, is pleased to welcome the world’s architects to the 5th Landscape Architecture Competition “CHICHEN ITZA 2008″, to be held from October 2007 to February 2008. Registration by December 31st 2007. The Jerusalem 2050 Project at MIT is pleased to formally announce the launch of the Just Jerusalem Competition. The goal of this competition, which is co-sponsored by the Department of Urban Studies and Planning and the Center for International Studies at MIT, is to generate new approaches to, and potential solutions for, the many complex, seemingly intractable problems that the residents of Jerusalem face on a daily basis. USA: Best in Green Building. Entries must be submitted on or before December 31, 2007. New York House magazine is celebrating homes that represent the best in design, energy efficiency, and environmental sensitivity. Their Best in Green Building competition aims to identify and showcase the outstanding and innovative work of architects, builders, designers, and energy experts in the region, as well as the homeowners who fund and support that work. Design a poster manifesto to promote and divulgate the shrinkage culture. The Shrinkage Worldwide Award is Open to Anyone. It is intended to promote designers who are thinking about a sustainable future. We encourage submissions from all disciplines including art, architecture, interior design, industrial design, experience design, communication design, graphic design, digital design, and urban planning, as well as decision-makers, thinkers, theoreticians and industries. This is a contest open to all undergraduate students to design a “Garage Venue” for student rock bands. This venue can take the form of a student bar, coffee house or any other idea you might have for a performance center. The location can be anywhere on your college’s campus. You may include as many rooms/spaces as you like, but the venue may not exceed 3,000 square feet. Europe: ULI European Student Urban Design Competition. The Urban Land Institute European Student Urban Design Competition is now accepting applications for the 2008 competition. This competition is sponsored by ECE, Grosvenor, and Hines and managed by ULI -the Urban Land Institute. La Reunion TX announces the most irresistible dream project ever in the form of a juried architecture exhibit! We seek ideas for a sustainable live/work space for up to 10 artists with a multifunctional space for intimate performances, installations, and exhibits. It will be built in and around an amazing site which is also the home of a startling historic artifact -a trestle leftover from the Interurban Rail Line. The Emerging New York Architects Committee, AIA NY Chapter in collaboration with the Seamen’s Church Institute is announcing the third biennial international ideas competition. Emerging architects are invited to explore issues of waterfront design and urban rejuvenation in developing a community support center for the south street seaport area. The Co-operative Group has launched an international master planning competition, designed to deliver leading edge proposals for its 20-acre site within Manchester city centre. The site, an integral part of Manchester’s Northern Gateway, borders Corporation Street and Miller Street and presents a major opportunity for regeneration in this part of the city. Key criteria for the masterplan include the environment, land use, transportation and design. The Université Catholique de Louvain (UCL) has undertaken the building of a new museum facing the Louvain-la-Neuve lake. Submissions deadline: Professional entries must be shipped or postmarked by December 12, 2007. The Congress for the New Urbanism welcomes your submissions for the 2008 CNU Charter Awards. This juried awards program recognizes today’s best work in urban design, architecture, landscape design, development, and placemaking -work that fulfills and advances the principles of the Charter of the New Urbanism. How are urban environments affecting our health? The Fit City competition, sponsored by the Oxford Health Alliance, is an international competition for young people designed to provoke thought and discussion about the impact that urban environments have on our health. They are looking for young people, aged 18-27, to submit their ideas or examples that demonstrate aspects of healthy urban environments or healthy urban design. UK: Graphisoft -Spend a month in Mexico working for Michel Rojkind. All submissions must be received by Graphisoft, by 18.00, Friday November 30th 2007. 1st prize is one month in Mexico, working for Michel Rojkind, in the summer of 2008. The winner will have his/ her flights and accommodation paid and, in addition, will receive a living allowance. The winner will also receive an Apple Intel PC, a commercial version of ArchiCAD, + upgrades for one year. Entries are sought for a scheme for a building, space or object and may either be an independent project or part of your coursework. The deadline for submission of entries is Monday, November 30, 2007. Grand-Métis, October 31, 2007 The International Garden Festival is preparing its ninth edition and is issuing a call for entries to select designers who will be invited to create temporary gardens for the 2008 Festival. This call for entries is open to all landscape architects, architects, artists and designers from Canada and abroad. Israel: Architecture of Israel Quarterly: 2007 Project of the Year Competition. Architecture of Israel Quarterly is announcing the 2007 Project of the Year Competition. As in every year, the competition is open to all – architects, interior designers, landscape architects, researchers and students, from all over the world. Projects planned (or written) since 2004 can be submitted in Power-Point formats at maximum size of 2 Mb. The RIBA Competitions Office is running an international open competition for the design of The Mersey Observatory at the site of the disused Radar Tower that stands between Crosby Beach and Liverpool Docks. The design competition is being promoted by The Mersey Basin Campaign in conjunction with the Northwest Regional Development Agency and Mersey Waterfront Regional Park. The aim of the Competition is the urban planning of a specific array of particular elements which will be integrated into the development programme of the Natural Shopping Centres of the Unione Terre di Castelli. The deadline for handling over the Projects is November 26, 2007 at 12:00 p.m. (GMT). Supersudaca has launched Sudapan Endless(s)trips, an international competition about the urban potentials of mass-tourism in the Caribbean. The competition focuses on the 140km resorts-strip of Riviera Maya, on the Mexican coast. Concurso de ideas para diseño de una envolente para la emisora de comunicaciones de Torre Valencia. The magazine 2G has organised an ideas competition open to architects under 40 and to architecture studios anywhere in the world. The competition proposes as a theme the development of the Venice Lagoon Park project, in order to reclaim the urban idea of the lagoon as a complex network of communications and settlements, through a hypothetical re-colonisation of the territory of the lagoon, the decentralisation and atomisation of a programme of uses, and the reclaiming of the idea of the lagoon as an urban constellation necessarily integrated in its natural surroundings. Final date for registration 15th october 2007. Submission deadline: November 9 at 3 p.m. ET. Call for Entries -: A Design and Engineering Challenge presented by the History Channel. How would you like the chance to design the commission of a lifetime – to look into the future, envision the changes that will take place in American cities, design solutions to the problems they pose, and make the world a better place? The History Channel, with sponsors Infiniti and IBM, is proud to offer this extraordinary opportunity to architects and designers nationwide to compete in City of the Future challenges in the San Francisco, Atlanta, and Washington, DC areas. Competition for Students and Graduates of Architecture, Interior Design and Design For the second time Trilux GmbH, leading manufacturer of luminaires, invites to the LUXFUTURA Award. A Europe-wide competition, which is announced in collaboration with the architectural journal AIT, aims at the promotion of young student, up-and-coming designers and young architects and interior designers who deal with “the future of light” theme. All students and graduates of architecture, interior design and design (no more than two years have passed since the final degree) at European universities are invited to participate in the competition. The Expression of Interest deadline is 14.00hrs on Tuesday 6 November 2007. The RIBA Competitions Office is pleased to announce the launch of a new Invited Design Competition on behalf of Walsall Council. Architect-led, multi-disciplinary teams are invited to submit Expressions of Interest to design a new circa GBP £2m community library facility in Bentley, Walsall. How would your campus look in 3D? You and your (presumably equally artistic) friends can honor your home turf and hone your 3D design skills by entering Google SketchUp’s Build Your Campus in 3D Competition (Australia & New Zealand). Simply model your school’s campus buildings in Google SketchUp, geo-reference them in Google Earth and submit them through this competition web site to earn lasting online glory and, for the winners, an all-expense-paid visit to Google Australia’s office. open to higher education students in Australia or New Zealand. Submission by by October 31, 2007 at 5pm. The annual Ken Roberts Memorial Delineation Competition is the longest-running architectural illustration competition in the United States. Sponsored by the Dallas chapter of the American Institute of Architects, the KROB awards prizes to drawings that exhibit exceptional mastery in the visual communication of architectural concepts. Both students and professionals are encouraged to send submissions via the competition’s website. Portugal: Contest for Ideas within the Revialization of the Riverine front of Oporto in the Zone of Priority Intervention. Porto Vivo, SRU- Sociedade de Reabilitação Urbana da Baixa Portuense, within its mission of Urban Rehabilitation and Revitalization, launches an International Contest, open to multidisciplinary teams. The Proposals must be delivered in hand or by registered mail in the Premises of the Coordinating Entity, in Porto, Portugal, by 06.00 p.m. of October 31st 2007. The deadline for submission is midnight 30th October 2007. The aim of these awards is to encourage architecture students to research and reflect on new patterns and approaches within the current cultural context. A prize will be awarded in each of the following areas: · BUILDING and NATURE. A necessary compromise? Limited energy resources, the environment, ecological awareness, sustainability, architecture and landscape. Community life, urban life. · NEW TOOLS to represent and generate architecture. From paper to video. Animation as a new format and method for technical and creative expression. The multi-disciplinary process of teamwork, data integration and management. · Techniques to materialise and BUILD habitable PHYSICAL SPACES. The materiality of occupied space. Habitat and technology, engineering and comfort. Globalization and the need for intermediate technologies. Feasible, affordable and buildable habitation. As it has for the past two years, Benjamin Moore once again is conducting a search among North American architects and interior designers for those who have brought color to their work in the most respectful, novel and celebratory ways, and will honor the best of the best with its prestigious HUE Awards. Creating spaces for families, community and sustainability in the city . This open competition will explore possibilities provided by housing oriented to shared courtyards as an additional infill housing type for Portland, Oregon (USA). Entrants are invited to suggest compelling solutions to several key challenges. The Architectural Association and the Environments, Ecology and Sustainability Research Cluster together with supporting organizations are again sponsoring an open one-stage international competition in search of innovative ideas, design projects, new techniques and research initiatives that highlight insights into contemporary directions of architecture and design relative to environments, ecology and sustainability. Pre Qualification Questionnaire to be returned by 22nd Oct 2007. London Bus Services are currently finalising arrangements for the issue of details regarding the design of innovative passenger shelters. Join as a Partner before 19 October 2007 and you will be automatically entered into the prestigious annual awards competition. A European Campaign to raise awareness and change the landscape of energy. The Sustainable Energy Europe 2005-2008 Campaign of the European Commission DG for Energy and Transport is a major initiative, promoting, showcasing and rewarding outstanding projects and programmes in the field. This year’s live pitch competition for small practices at the RIBA Guerrilla Tactics conference. The challenge to small practices is: How do you combat climate change and its effect in the city? The Dragons will be looking for sustainable ideas that can be developed to work in an urban context. The Expression of Interest deadline is 12.00 midday on Wednesday 17 October 2007. The RIBA Competitions Office is launching an Invited Design Competition for architectural practices / architect-led design teams on behalf of St Leger Homes in Doncaster, South Yorkshire, to seek suitable and innovative solutions for the extension and adaptation of a number of one bedroom bungalows scattered throughout the Doncaster area. Stage one submissions are due on the 16th October. Entries from architects and engineers are invited for a new footbridge to be built over a major route close to Sheffield City Centre. The competition is being organised by the RIBA Competitions Office on behalf of Sheffield and Rotherham Councils, with support from Yorkshire Forward. Qualified architects may submit their complete presentation electronically on the IMMORENT website (www.immorent.com) between 19.09.2007 and 15.10.2007. With its new headquarters, the ERSTE BANK is pursuing the ambitious goal of constructing an innovative and forwardlooking corporate headquarters which sets new standards in Europe. As of 2010 offices, restaurants, retail and commercial premises will rise from the ground on the site of what is now the Vienna South Railway Station as part of a flagship project to create a “city within a city” immediately adjacent to the Belvedere Palace and the Schweizergarten. IMMORENT Aktiengesellschaft will also be constructing the new corporate headquarters of the ERSTE BANK at this attractive location. International Competition of ideas -Águas do Porto, the city of Porto municipal water company, intends to create innovative uses for its water towers and surroundings of underground water tanks. Young architects architects and students are invited to present ideas for any of the seven sites. Russia: Architecture and Design Festival – «Summer A&D Pavilion». Architecture and Design Festival is the new project of The Golden Capital Foundation. Architects, designers and artists from all countries are invited to design a project of the temporary pavilion for the summer phase of the Regional Festival of Architecture and Design in Novosibirsk (Siberia, Russia). EUR S.p.A announces an International Design Contest in a double phase for the “Città dell’acqua e del benessere” in Rome EUR – Italy. The subject of this Contest the design of a complex divided into two sections: a 38.000 sqm (gross) multipurpose complex. The main functions will be sports and recreational activities and fitness and health facilities and a 21.000 sqm (gross) non residential building. Submissions to be received by October 5th 2007. The AIA 150 is hosting a design competition for students K-6, 7-12, and College aged. Multiple prizes will be awarded for each age group. Respuestas y Aclaraciones: Las respuestas a las consultas estarán disponibles en el sitio web del concurso a partir del día 31 de Agosto 2007. Recepción de anteproyectos: Se realizará el día 04 de Octubre de 2007. Concurso Público internacional de Anteproyectos de Arquitectura Centro Cultural Gabriela Mistral. The Romualdo Del Bianco Foundation of Firenze is calling for the international competition “Laurea & Professione”, which offers students having completed their studies a first occasion of visibility for their work and accreditation of their abilities on an international level. Registrations, to be submitted online by the individual or by the team leader representing a team before the 30th September 2007.
concorsi di idee per studenti. The theme for the 2007 competition will be “A Minimum House for Leisure in the 21st century”. The competition is open to all European architecture students but its organisation relies specifically on a network of architecture schools with a leadership in teaching sustainable urbanism and architecture. Europan Austria, Artimage and others have announced an international pilot competition. Purpose of the two-step competition is to obtain a preliminary architectonic design for a model project that innovatively organises an “extended living programme”, office and commercial surfaces as well as further facilities (i.e. public facilities, catering, wellness) at the corner plot (Rathausgasse/Alois Grogger-Gasse) in Gleisdorf. Deadline for submissions is 16.00 hours on 19th September 2007. Greenwich Council and its partners are launching an international design competition to invite proposals to redesign two squares in Woolwich Town Centre. The project is part of a major regeneration programme for Woolwich that is already transforming this historic part of the London Thames Gateway. The Council’s partners are the Woolwich Regeneration Agency, Design for London and Transport for London. The submission deadline is Wednesday 19 September 2007. The RIBA announces the launch of a new open competition to design new visitor facilities for the Brockholes Wetland and Woodland Nature Reserve near Preston in Lancashire. The competition is open to architects and architect-led multi-disciplinary design teams. Spain: The 2nd Advanced Architecture Contest. This is a SELF-FAB HOUSE competition open for students and young professionals all over the world that places the accent in the construction of self-sufficient dwellings, in which the emphasis will be on exploring people’s capacity to construct their own homes, especially through the use of digital technologies. Open call for entries is issued to all architects, landscape architects, designers and artists to create projects for temporary installation/exhibition during the 2nd Annual Moss Rock Festival in one or more of three categories: 1)Strictly Design, 2)Design/Build & 3)Sculpture/Installation. 2007 Challenge: PLAY_GROUND participants will create projects utilizing the concept of “Verb, not Noun” “Active, not Passive.” This juxtaposition of the Verb, “Play” to the Noun, “Ground” is meant to create conversation, exploration and enjoyment of nature & outdoor spaces through creative interface. Deadline for registrations is Friday 24 August 2007; submissions by Wednesday 12 September 2007. Cheltenham Borough Council is launching an international competition inviting proposals for the design of an extension to the town’s Art Gallery and Museum, which is currently celebrating its centenary year. It will be a flagship public ‘green’ scheme for Cheltenham, enhancing one of the town’s significant conservation areas, which also includes Cheltenham’s oldest building, 13th century St Mary’s Church. Entries close Monday 10th September. The Bat House Partnership and RIBA Competitions Office announce the launch of a new open competition, to design a Bat House for London. Architects, designers, bat enthusiasts and schoolchildren are invited to explore the relationship between art, architecture and urban biodiversity in their designs. The Bat House Partnership intend to realise the winning proposal at the WWT London Wetland Centre, Barnes, West London, working in close collaboration with the winning designer to deliver the scheme. Entries are due to AIA Tampa Bay by September 7th, 2007. The Tampa Bay Chapter of the American Institute of Architects recently announced an Architectural Photography Competition open to amateur photographers. They are seeking photographs of man-made structures within the chapter’s territory in west central Florida and are offering a $1,000 grand prize and the chance to be in their 2008 architecture calendar. The submission deadline is 2.00pm on Friday 7 September 2007. The RIBA Competitions Office announces the launch of an international open design competition for a new performance structure within the castle keep at Egremont Castle in Cumbria. The aim of the competition is to find an innovative new design for a removable structure which will allow the castle to be used for concerts and public performances. Responding to a public call to craft a vision for the future of the site, the City of Charlottesville is sponsoring MARKET VALUE, a design competition that will help Charlottesville proactively investigate and establish the best alternatives for development. Directed by the City of Charlottesville in partnership with the Charlottesville Community Design Center and AIA Central Virginia, MARKET VALUE is seeking realistic, innovative models for mixed-use development ones that not only yield financial returns for a future developer of the site, but also provide a “return on investment” to the public good by attending to issues of civic space, connectivity, affordable housing and green building. Registered architects and urban planners worldwide are invited to submit for this competition, the aim of which is the urban design of the new Riga city centre in Latvia, and the architectural vision for the Riga City Council and the Latvian State Administrative Complex in the territory in Pardaugava on the left bank of the Daugava opposite the historic centre of Riga. Entry submissions must be postmarked by September 3, 2007. The Ed Bacon Foundation announces the launch of its second annual design competition. Entrants are challenged to create design solutions for one of Philadelphias prime locations. Open to any college or university student in North America, studying planning, architecture, urban design, or any related field. Submission deadline September 1st, 2007. The EDA Group Ltd. is pleased to announce the launch of a new international open design competition. Students and student teams and professional Architects, landscape architects, engineers, town planners and urban designers (or teams thereof) are invited to submit imaginative, inspirational ideas for the future Battor Country Club which sits on approximately 100 acres of land between the Volta River and a seasonal creek. Deadline for submission is September 1, 2007. In honor of the 40th anniversary of the Faculty of Architecture, Building and Planning of the University of Technology at Eindhoven (The Netherlands) we are organizing a large international, interdisciplinary conference and student design competition. In this design competition, students of different disciplines are asked to give their view on tectonics by creating a design, and justifying their design in the spirit of Tectonics Making Meaning. Germany: First Annual Architecture and Design Competition in Second Life. Seeking the coolest, most spatially interesting and aesthetically independent pieces of architecture from the inhabitants of Second Life. It can include all buildings: from big to small, spaceships, underwater constructions, villas, fully landscaped and designed islands, complex high rises. Decisive are creativity, innovation, features, style, and spatial qualities. This open idea competition will run from April to August 2007. After the 2005 FAR8 competition on urban density, FAR Architecture Center Shanghai now holds its second competition, the Sinocities Awards, an International Architecture Design Competition on awards Public Space. Designers and students from all over the world can freely choose a site on the Sinocity map and apply their innovative designs. Modus Furniture have got together with the AJ for the second Something to Sit On competition. Modus will produce a prototype of the winning seating design that could become part of its product range. Your submission should conceptualise a seating opportunity for informal working on a laptop. Registration Deadline: August 31, 2007. Sponsored by the Tilt-Up Concrete Association and the Portland Cement Association. Students in the field of architecture, currently in a graduate or undergraduate program are invited to present conceptual designs for a storm-resistant housing complex located along the Gulf Coast using site cast concrete panels known as “Tilt-Up” for their shell components. Storm Housing 2007 is an international, open, single-stage ideas competition. Korea: The 7th Space Prize for International Students of Interior Design. Organizer: SPACE GROUP. Theme: 3.6.9. Eligibility: Students (a team may consist of up to 3 students). Korea: The 25th Space Prize for International Students of Architectural Design. Registration by August 31st. Organized by SPACE GROUP. Theme: Public Space, Public Force, Public Imagination. Eligibility: Students. The Grand Prize winner will be given an opportunity to be employed in the future by SPACE GROUP KOREA while other winners will have an equal chance of preferential assessment for employment by our group. Deadline for submission 31 August 2007. The 2007 IFHP Ranko Radovic Student Competition welcomes students at all levels and from all disciplines related to Urban Planning, Urban Design, Architecture, Landscape Architecture, Urban Geography, Sociology, Anthropology, Urban Studies, Environmental Studies, Engineering, Traffic Planning or related academic fields. The United Arab Emirates government is promoting an ideas competition for its capital Abu Dhabi central garden, open to Architecture and Landscape students and recent graduates worldwide. inscripción: hasta el 23 de agosto de 2007. Selección de la mejor propuesta arquitectónica para la redacción del proyecto y la dirección de las obras del Edificio de los Juzgados de lo Penal del Campus de la Justicia de Madrid. Sponsored by Urban Splash, Tutti Frutti is an open international competition to offer 26 canal-side building plots in a sustainable community at New Islington, Manchesters Millennium Community. Urban Splash got the idea for Tutti Frutti after the company visited Borneo Sporenburg, a series of one-off designed homes designed by West 8 in Amsterdam. Eligibility extends to architects, budding property developers and builders who can demonstrate their ability to finance the purchase of the plot and build costs, and produce a scale model of their house. “Columbus Re-Wired” is an urban design ideas competition intended to seek out a wide array of creative proposals and solutions that will initiate a dialogue about the current and future state of Columbus ‘ overall infrastructure network with specific emphasis on public transportation. The Brussels Region has launched an Urbanism Invitation to tender for a 10 Hectare site destined to housing in the limits of the Bruxelles Region, bordering the Soignes Forest in the Woluwé-Saint-Pierre Commune. The site will be dedicated mainly for social and medium housing. LICC invites passionate visual artists, regardless of experience or nationality, to submit their innovative artwork for inclusion in the 2007 competition. The artwork is judged by a board of internationally esteemed artists, writers, curators, gallery owners and other luminaries of the visual arts. Chosen entries will be exhibited in a show in March of 2008 in London and published in the annual LICC book. Potogroup and the Architectural Foundation of British Columbia presents an open architectural ideas competition: poto:type. This competition will question the emerging typology originating in Vancouver’s downtown area: podium/tower typology. Potogroup makes an invitation to the participants to explore, rethink, question and experiment with new ideas that will challenge the concept of the podium/tower. Korea: International Ideas Competition for Daejeon Urban Renaissance (DJURe). The registration is online and ends on Aug. 14, 2007. The single stage Competition is being sponsored by Daejeon Metropolitan City in conjunction with the Korea Land Corporation as part of the development of the Daejeon Station area. The aim of the competition is to seek an innovative ideas for a master plan of Daejeon Urban Renaissance Development Area for the revitalization of the old central urban district. New thinking on urban transportation. The second in a series of five architecture and design competitions designed to inspire ideas for a sustainable city block. This one is themed on the subject of how people move through a city. Europe: Europe 40 Under 40. Deadline for Submissions: August 1st 2007. The Chicago Athenaeum: Museum of Architecture and Design launch a new annual awards program to find the next new talented generation of European architects. The key is to bring wider recognition to 40 of the most promising emerging architects working in the European Union and other countries inside Europe, fostering and encouraging new talent and new creative thinking at the forefront of tomorrow’s profession. USA: Montage Arclinea Contemporary Design Scholarship Competition. Entries extended to July 31st. Montage and Arclinea Boston have announced the second annual Montage/Arclinea Contemporary Design Scholarship Competition. Entrants will be asked to design a contemporary kitchen/living area within the traditional, historic architecture of Boston and its suburbs. Poland: Motlawa Apartments International Open Competition. The competition will last to end July 2007. Invest Komfort SA invite entries for an open international competition for architects and students in urban and architectural planning for the best conceptual land development design of Old Town area near Motlawa river in Gdansk. Submission of proposals July 31st 2007. This architectural competition is being promoted by ARQUITECTUM to evaluate proposals for the construction of a new monument to the urban, cosmopolitan and “universal” character of New York City. To that end, this project (a 100 metre tall tower), will house a museum which will display the belongings, memories and photos of the new generation of immigrants which headed for a city they saw as the paradigm of the American Dream. Portugal: 2nd Lisbon Ideas Challenge International Design Competition -Urban Design with Photovoltaics. Submission Deadline: 31st of July 2007.
International design competition based on the primary premise that the integration of solar photovoltaic (PV) technology into the built environment must empower not only the PV materials but also create an added value to that environment in a synergic combination of form and function. Initial, anonymous, submissions will be requested for end July 2007. The Parabola project at Hadspen represents a commitment to seeking out radical solutions to planting, and to exploring the links that gardening can make to other fields of creativity. This competition seeks to find a gardener with a bold and untried approach to making a garden, and the energy and determination to put this into practice. Applicants are asked for a response to the new path layout, designed by Foreign Office Architects, for the original parabola-shaped walled vegetable garden at Hadspen. Capture your sense, your impressions, your image of the year 2007 in a space bubble, a capsule to be preserved for posterity. Your client, a major (fictional!) company, is commissioning an architectural structure as part of its contribution to a more socially and environmentally aware environment. Design a structure that captures the essence of 2007 in South Africa, and contains all significant contents within 500m3 of space. UK: HOUSE ! .. new competition looking at exciting, stylish, practical, affordable living . The deadline for design submissions is 27th July 2007. The RIBA Competitions Office is pleased to announce the launch of a new competition for the inspirational modernisation of two Victorian housing typologies in Manningham Bradford. The competition is being organised on behalf of Bradford Metropolitan District Council and its partner Accent. Entrants will be set the challenge of providing innovative solutions to today’s lifestyle requirements for two very different houses : a back to back mid-terrace and a large end terrace. japan: Central Glass International Architectural Zoo Design Competition. Entries must reach the competition office no later than July 25 (Wednesday), 2007. Central Glass Co. has launched this competition on the theme of the environmental zoo. The idea of the zoo has changed with the advent of sustainability, and new zoos should adhere to this shift. Canada: Peepshow International Presents: The 2007 ‘Live’ Architectural Competition: RUPTURE. The competition deadline is July, 23, 2007. Site is in downtown Calgary. The Competition asks for a study of a metonymized object in the midst of ‘rupture’. For this 2 drawings/panels are required; The first is the ‘changed’: Design of the Center of Metaphysical Techniques. The second is the metonymized or ‘ruptued’ object: The interrupted act of the manifestation of becoming the Center of Metaphysical Techniques in spatial objectivity. The Urbantine Project emerged from the realization that there are limited opportunities for unrecognized architects and designers to showcase their ideas and philosophy in the UK. We want you to write a scenario to which you can respond to through design, and then propose a physical installation to be constructed at Tent London. Your installation must be able to be assembled in 48 hours and disassembled within 24 hours. Deadline for submission of the requests to participate in the competition 16th July 2007. In August 1980 Gdansk became the cradle of Solidarity – the movement which led to the downfall of communism. Gdansk will mark the 30th anniversary of the events of August 1980 by erecting the European Solidarity Centre (ESC). Therefore, an international competition for the architectural concept of the ESC has been announced. The deadline for competition works submission is July 15, 2007. Consisting of a Fountain with Cavalryman Sculpture of Alexander the Great. The Municipality of Centar – Skopje has opened a competition in order to get an original preliminary project, with innovative artistic-aesthetic articulation of a monumental unit consisting of a fountain with a cavalryman sculpture of Alexander the Great. The Architectural society of China (ASC) has organised an ideas competition on Tangshan Earthquake Memorial Park. This competition is open to all professionals and students anywhere in the world. Submission by July 10th 2007. The Centre of Contemporary Architecture in Russia announces an open architectural competition with international participation for the best architectural project of new Museum in Perm city, where the collections of Perm Art Gallery would move to. Open portfolio competition for the right to take part in the second round. Portfolio of potential participant (authors’ team, project organization) should be submitted by post or by e-mail. Italy: Call for tender for the New Vesuvio Railways. The tender will close on 6th of July at midnight. A preliminary plan for the layout of the Vesuvius National Park railway, and related works, terminal stations, intermediate stops, park and ride car parks and off-site parking spaces. 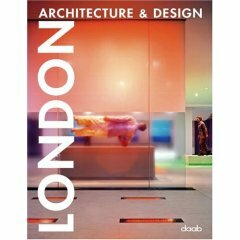 UK: SPAB: Philip Webb Award 2007. Deadline for submissions Friday 6th July 2007. A student competition to encourage new design in the context of historic buildings. Students should produce a scheme which will sympathetically revitalise an historic building. Students at UK Schools of Architecture who have achieved RIBA Part I and are presently working towards RIBA Part 2 examinations are eligible. Past winners include Bob Allies and John Macaslan. Registration Deadline 5th July 2007. The RIBA Competitions Office has been appointed to run a new open design competition on behalf of a private client for the design of a new office building, to be built on a prominent location close to Preston City Centre. The client has high aspirations for an exceptional building that will have a strong visual presence in a prominent location at the entrance to a major business park. The submission deadline is July 5, 2007. After the 2005 FAR8 competition on urban density, FAR Architecture Center Shanghai now holds its second competition, the SINOCITIES AWARDS 2007, an International Architecture Design Competition on New Public Space. All interested architects and related professionals such as urban planners, landscape architects as well as students of architecture, urban planning and related fields may enter. The Hanham Hall site is the first development opportunity to be brought to the market under the Carbon Challenge. With the aspiration to secure an exemplar, high quality residential development, English Partnerships (EP) is seeking to appoint a lead partner to develop the Residential led, mixed-use scheme on the site which incorporates a Grade II* listed former hospital. Initial Expressions of Interest are to be submitted by 2nd July 2007. Tunbridge Wells Borough Council is seeking a Development Partner with masterplanning skills to help formulate a vision for Tunbridge Wells town centre from which regeneration will be delivered and to unlock potential development opportunities. Italy: international ideas competition -COSTERAS – for the revitalization of 8 coastal villages. Deadline for registration July 1st 2007. The Sardinian Regional Government is promoting an ideas competition for the revitalization of 8 coastal villages with the goal of defining ways of preserving, recovering, transforming and completing the existing built and natural landscape in harmony with the philosophy, goals and guidelines of the Regional Landscape Plan. The competition will last from April to July of 2007 (Polish). International Open Competition In Urban and Architectural Planning for the best conceptual land development design of Old Town area near Motlawa river in Gdansk, Poland. The objective of the competition is to procure the best urban and architectural concept for prestigious, modern, mixed residential and commercial property in a unique site near the historic developments of Gdansk Old Town and Motlawa river. Throughout the history of Hong Kong, the city’s waterfront has been under constant flux. Land reclamation from Victoria Harbour has constantly changed the waterfront by pushing Hong Kong and Kowloon closer and closer together. Now after 150 years of reclamation, the community of Hong Kong has decided to stop further reclamation. The site area for the competition will be Hong Kong’s first permanent waterfront and therefore requires special attention. China: MOCAPE: International Design Competition. The deadline for this competition is due to 30th June 2007. The city of Shenzhen is one the fastest growing city in China and in the world. Last century has witnessed its rapid growth within the span of merely 30 years. Now it is searching for a creative answer for its Museum of Contemporary Art & Planning Exhibition through a competition in the international design community. The timetable is extremely tight. The clients want the ground to be broken by the end of this year! Termine presentazione opere / Entry deadline: 30/06/2007. “Earthen architectures: landscapes of architectures” is an initiative of the Municipality of Casalincontrada, in the Italian province of Chieti and the Documentation Centre on Earth Architectures, Terrae onlus Association. The “rediscovery” of the knowledge linked to earthen architecture recomposed in images, like tiles of a mosaic made of people, things, material and places. Images that could be interpreted as “surviving structures” or “new scenarios”, as well as architectures of the territory, memories and situations. Registration forms must arrive at the registrar’s office no later than Friday 29 June at 5pm. The second in a series of annual architecture and urban design competitions aimed at promoting critical investigation into the development of strategic locations around Australia. The competition this year invites entrants to rethink eco-lodge tourism models in fragile and remote coastal environments and demonstrate design excellence and sustainability in such sensitive locations. Initial Expressions of Interest are to be submitted by Friday 29th June 2007. Kent County Council, in partnership with Thanet District Council, is seeking to appoint a development partner to take forward an exciting opportunity to redevelop a prominent seafront site adjacent to Margate’s Old Town. All responses and proposals must be received by 5:00 p.m. on Friday, June 29, 2007. National Trust for Historic Preservation and The Philip Johnson Glass House in partnership with The New Canaan Historical Society. The project proponents are soliciting qualification statements from consultants in the fields of 20th century history, architecture, architectural history and landscape history for the services required to research, survey and document approximately 100 architect-designed houses, related outbuildings and landscapes built in the town of New Canaan, Connecticut between 1935-1975. The deadline for submissions is 28 June 2007. Lend Lease Consortium and Architecture Foundation are seeking Architects from around the world to design all elements of the Athletes Village for the London 2012 Olympics. The task is to create contemporary urban housing within an exceptionally significant project, to serve the needs of athletes and officials participating at the Games and to deliver housing for new communities after 2012. Architects are invited to apply to join a panel of practices, from which teams will then be selected to design individual elements. Norway: New Holmenkollbakken -Open International Design Competition. The deadline for submission of competition entries is Monday 25th June 2007. Kerteminde Local Authority wishes to explore the development potential of Kerteminde harbour. The harbour is currently composed of a number of areas with individual characteristics and different qualities. It includes a large marina, and Kerteminde harbour is the only harbour on the island of Funen that still has a working fishery harbour. The first phase submission deadline is 15 June 2007. Issued by the city of Reykjavík. Two phase anonymous procedure. The jury will select 15-25 entrants from the first phase to participate in the second phase, where further development of the proposals is requested. The same jury will select 6-8 of the second phase entries for recognition and 2-4 of these will be identified as first rank proposals. USA: InsideOut magazine competition No. 3, Shrink This House. Open to all architects and architecture students. The winning entries will be published in the September-October issue. The program: Take a 5,687 square foot, two-story modern house going up in Miami Beach and, in expectation of high energy prices and an aging population in 2025, shrink it to 2,000 square feet. Creatively. Images, floor plans and specs are at www.floridainsideout.com; click on the link to the competition. Timeline approx June 15, 2007 -see the Design Competition website at www.usgbc.org/egb for local programs, due dates and registration. For students and/or young professional is being hosted locally by 20 different local USGBC chapters around the country, addressing sustainability issues across design, economics and culture. Each local competition has a different program and possibly different points of emphasis. USA: Lake Elsinore Civic Center Design Competition. Stage 1 Inquiries Deadline 11 Jun 2007. The City of Lake Elsinore in California is inviting teams of architects and other design professionals to submit design proposals for the civic center development on two proposed sites. Design professionals will have the opportunity to elucidate the strengths, and weaknesses, of the two different, but promising, locations. The proposals will include a new city hall, council chambers, post office, public library, business incubator, and other government offices or mixed uses in a campus setting. Deadline for the receipt of expressions of interest and completed pre-qualification questionnaire (PQQ) documentation is 12:00 noon (BST) on Friday, 8 June 2007. The Olympic Delivery Authority (ODA) is seeking expressions of interest from design teams to design one of the Olympic Park footbridges. The bridge is located on the central pedestrian concourse running north to south through the Olympic Park – a key link between the Olympic Stadium, Aquatics Centre and Basketball Arena. Prequalification: deadline for submission Tuesday 5 June 2006. The City of Milan announces an International Design Competition, to be held by restricted procedure in a single anonymous stage with prequalification of entrants for the drawing up of a preliminary design for the Diocesan Museum. UK: 2012 Olympic Games – Temporary Venues – Basketball and Fencing. Listing Deadline : 4th June 2007. The ODA intends to appoint an Integrated Design Teams to undertake all the design and planning work for the Temporary Venues as set out in the two Lots – Basketball Arena and Fencing Arena The expectations are that the arena are deconstructed after the Games and relocated to another part of the UK or sold to the hire market. The assignment will be posted on the 1st June 2007. In honor of the 40th anniversary of the Faculty of Architecture, Building and Planning of the University of Technology at Eindhoven (The Netherlands) we are organizing a large international, interdisciplinary conference and student design competition. Submission deadline 1st June 2007. The Downtown Walla Walla Foundation and Valley Transit announce a competition to design a distinctive downtown transit station integrating various community needs. Walla Walla is an Eastern Washington city renowned for wine production and its picturesque and historic downtown. Registration closes 1st June 2007. The AIA NY Chapter’s Emerging New York Architects announces a portfolio Call for Entries, intended to celebrate the drawing abilities of emerging architects. Artists who are selected from the portfolio competition may be asked to participate in the live drawing series. International practitioners are welcome. UK: World Habitat Awards 2007. Stage I entries must be received by 1st June 2007. The Building and Social Housing Foundation is currently seeking entries for the World Habitat Awards 2007 competition. The World Habitat Awards were initiated in 1985 and seek to identify practical, innovative and sustainable solutions to current housing issues faced by countries of the Global South as well as the North, which are capable of being transferred or adapted for use elsewhere. The competition is open to all individuals and organisations, including central and local governments, NGOs, community-based groups, research organisations and the private sector. Last year’s World Habitat Awards were presented to the Johannesburg Housing Company in South Africa and the Building and Construction Improvement Programme of the Aga Khan Planning and Building Service, Pakistan. Details of these two winning projects and the competition finalists can be found on the BSHF website at www.bshf.org. nd of the application period 31st May 2007. Finland: Greater Helsinki Vision 2050 – International Ideas Competition. Submission of entries 31 May 2007. The municipalities of Helsinki, Espoo, Vantaa, Kauniainen, Kerava, Tuusula, Järvenpää, Nurmijärvi, Mäntsälä, Pornainen, Hyvinkää, Kirkkonummi, Vihti, Sipoo together with State of Finland (Ministry of the Environment) are organising an open ideas competition for the vision 2050 concerning land use spatial planning of the Greater Helsinki. The aim of the competition is to find innovative ideas for the futureland use planning and develop sustainable strategies and concrete solutions for strengthening the status and competitiveness of the Greater Helsinki as an attractive region to live and conduct business. The competitors are expected to present their general vision for the Greater Helsinki in 2050 together with the detail study supporting it. The deadline for receipt of submissions is 31 May 2007. Letchworth Garden City Heritage Foundation and North Hertfordshire Homes, in partnership with the Royal Institute of British Architects, are delighted to promote a new open design competition “Tomorrow’s Garden City: A Sustainable Approach to Modern Living”. This housing design competition is open to both professionals and students. Closing date for entries is 31st May 2007. UK: Raising the Roof with Innovation Awards The Awards are being run by The Green Roof Centre: – established by the University of Sheffield and Groundwork Sheffield, with part-finance from the European Union’s European Regional Development Fund. The Centre aims to establish South Yorkshire as a leader in green roof expertise, with a full range of demonstration roofs for people to come and visit, alongside training and advice. A research test-bed is also under construction for the recording and monitoring of performance data. Much of the current data that exists is based on figures from Germany, whereas this will provide UK specific information. Closing date for applications: 31st May. Ireland: Europan 9 -Ireland. The theme for Europan 9 is sustainable cities and new public spaces. In Ireland, competitors can respond to this theme in the context of very different sites with spatial and social challenges. Two sites have been selected: Old Whitechurch Road (Kilnap / Blackpool), Cork; Lorcan O’Toole Park / Stanaway Park, Kimmage, Dublin. Judges will be looking for proposals which are resource efficient and will adapt to climate change; are flexible enough to allow design progression with partners; have thoughtfully designed public space; and make a positive contribution to local communities. Deadline for registrations: 31 May 2007. UK: University of Bath, Proposed Centre for Creative Arts. The University of Bath seeks to provide a new inter-disciplinary Arts Complex on a prominent site within its Claverton Down campus. The new facility will both replace existing facilities and provide for significant innovation and expansion. It should make a statement about the quality and diversity of arts provision on the campus. The University aspires to developing a building of the highest architectural quality, and also to achieving the highest standards of sustainability in this and all its new construction projects. Selection of the architect for the project will follow a competitive process, which will invite a shortlist of five architects to produce initial concept sketches and attend an interview. The successful architect will be appointed in the first instance to take the project forward to RIBA stage D, and funding is currently being sought to take the project through to completion. The deadline for expressions of interest is 30th May 2007. UK: Cooling Towers Site, Tinsley, Sheffield. RIBA Competitions Office announces the launch of a new International Open Ideas Competition on behalf of Groundwork Sheffield. Architects, landscape architects, engineers, town planners and urban designers are invited to submit imaginative, inspirational ideas for the future use of a brownfield site situated adjacent to the M1 Tinsley Viaduct in Sheffield. The competition site occupies a key gateway location, just off the M1 motorway opposite the Meadowhall Shopping Centre. The area has been the focus of significant public interest, due to the selection of the two disused Cooling Towers located on the site for the Channel 4 Big Art programme. The Cooling Towers are a highly emotive issue with the general public, who either loathe the Towers considering them an eyesore, or love them, regarding them as a local landmark that welcomes residents and visitors alike to Sheffield. The Stage 1 submissions will be subject to a technical appraisal and up to twenty schemes will be selected for anonymous exhibition, with comments invited from the general public and interested parties with specialist or local knowledge. Registrations will close on 30 May 2007. France: International Design Competition for the new Paris Courthouse (TGI) on the TOLBIAC site of the ZAC Paris Rive Gauche (mixed development zone) has been launched by the EPPJP. The competition involves a preliminary selection of 10-12 architect/engineer teams by a jury. Deadline for applications May 29th 2007. Denmark: Thoughtful Urban planning competition Svendborg. The Danish town of Svendborg wishes to initiate urban planning of an area of about 800 hectares, located to the west of the town of Svendborg. The competition is divided in two stages, currently open is the submission of documents that prove elegibility for the competition. Original proposals regarding the submissions programs and interaction with the natural environment are encouraged, as well as inter disciplinary teams of professionals. Spain: Concurso de Ideas Monumento al Bicentario de las Cortes de Cadiz. El 19 de marzo de 2012 se cumplirá el bicentenario de la promulgación de la Constitución de 1812, primer texto constitucional español formado por un cuerpo legislativo de carácter liberal. Con motivo de tal efemérides se quiere generar un hito espacial y temporal en el ámbito de la Plaza de Sevilla, de tal forma que éste sea focalizador y punto de encuentro entre el pasado y el presente, como un nexo físico entre la Constitución de 1812 y la Constitución de 1978. Dicho hito físico servirá como símbolo fortalecedor de los lazos de unión que España, a través de Cádiz y de su Constitución Bicentenaria, mantiene con el resto del mundo: muy especialmente con los países iberoamericanos. Para propiciar el debate y enriquecer todo el proceso se ha convocado este Concurso de Ideas a nivel de Anteproyecto, con intervención de Jurado, carácter anónimo, ámbito internacional y abierto a todos los profesionales cuya actividad tenga relación con el objeto del concurso. Tenéis de plazo para inscribiros hasta el próximo 22 de mayo. USA: Five Gateways to Elysian Park. The Citizens Committee to Save Elysian Park (CCSEP) is seeking proposals to design and construct Five Gateways into Elysian Park that will create a cohesive identity for this Los Angeles park. Up to five artists, architects or designers from the Greater Los Angeles area will be selected to submit final Design, Construction, and Installation Proposals to the selection committee. Submission Deadline Tuesday, May 22nd 2007. USA: A New Hut: an ideas competition for a new museum. Emerging Tampa Bay Architects and AIA Tampa Bay in partnership with the Safety Harbor Museum of Regional History. The museum is looking to expand beyond their current building. The desire is to create a new interactive learning experience and museum for all guests. Two possible sites are under consideration. The first is at the entrance of Philippe Park, site of the Tocobaga Temple Mounds. The second site is the current museum location, also a Tocobaga historic site. The results of this design ideas competition will be used by museum directors and city leaders to garner support and funding for a new facility. entries due 22nd May 07. UK: The Wood Awards 2007. The 2007 Call for Entries will start from 1st March and close on the 20th May 2007. UK: The Nineteenth Corus Architectural Student Awards aims to give architectural students a creative vehicle for learning about the use of steel in buildings. By taking part you will have the chance to explore the complex issues surrounding the theme of how to live with rising water levels and the ever-present threat of flood. The competition is, as usual, open to students of architecture in Europe. For both UK and overseas students the competition brief is to address the theme of H2Ouse – living on the water. Design entries must be received by 4.30pm on Friday 18th May 2007. USA: Public Safety Answering Centre RFP. The NYC Department of Design and Construction has issued a two-stage RFP for design of the City’s second Public Safety Answering Center, a 400,000 square foot facility that will improve response to emergency 911 calls. The estimated cost of the building is $700 million. Due date 14th May 2007. Fiji -The Haven. DP Limited a Fiji company has launched a architectural design competition for the design of a complex of mixed use commercial, retail and hotel and design concepts for a office tower and apartment complex in Nausori Fiji. The competition is for comprehensive designs on the major complex and design concepts for two others. From submissions 3 firms or consortiums will be selected. The client intends to select one firm, but may choose two or all three to work on part of the development. Submissions for expressions of interest should be provided by the latest 4th May 2007. Macedonia: Macedonian Philharmonic Orchestra. On the basis of article 68 of the Law on Public Procurement (Official Journal of the Republic of Macedonia, No. 19/04), the Public procurement committee in the Ministry of Culture of the Republic of Macedonia, hereby opens the present INTERNATIONAL COMPETITION No. 2/07 for the elaboration of an architectural – urban concept for the “Macedonian Philharmonic Orchestra” building in Skopje. The deadline for submission of proposals shall be 16 pm. on May 3, 2007. USA: Courthouse Square Design Competition. Courthouse Square is the “town center” of Santa Rosa and is the focal point of downtown. Its landscaped spaces and plaza areas provide for a range of activities, performances, and entertainment right in the heart of downtown. Redesigning the courthouse square area will enhance its sustainability as a focused pedestrian-friendly and transit oriented district. Statements of Qualifications due 2nd May 2007. UK: London 2012: Structures, Bridges and Highways. The Olympic Delivery Authority (ODA) has announced the tender has recently announced the tender for construction of roads and bridges on the Olympic site. The deadline for the receipt of completed PQQ documentation is Wednesday, 2 May 2007. USA: Lifecycle Building Challenge designing this building, and the next … The U. S. Environmental Protection Agency, the Building Materials Reuse Association, the American Institute of Architects, and West Coast Green invite you to participate in the Lifecycle Building Challenge, a two-tiered competition seeking designs that facilitate reuse. Professionals and students nationwide are invited to submit designs and ideas that support disassembly and anticipate the future use of building materials. Closing date: May 1, 2007. Ireland: Longford County Council Corporate Headquarters. Two Stage Architectural Design Competition. Longford County Council has launched an international architectural competition for the design and implementation of a new Corporate Headquarters for the county that will incorporate the existing Áras an Chontae and additional purpose built accommodation comprising approximately 5,500 m?, to incorporate a new Council Chamber, Members meeting rooms, Managers suite, Library HQ and other civic functions. The competition is a restricted, two-stage architectural competition for design proposal from architect-led teams incorporating architectural, engineering, quantity surveying and associated services. A maximum of 20 applicants expressing an interest in the project will be pre-selected for admission to the first stage. The latest date for receipt of “Expressions of Interest” is Monday 30th April 2007. Italy: 2nd Industrial Design Contest. After the success of the first edition in 2006, Rubinetteria Webert is now launching the second Industrial Design Contest with the sponsorship of the ADI, for the design of a series of bathroom single-lever mixer taps. The Company’s objective is once again to stimulate the search for new ideas and solutions which combine functionality and aesthetics in designs for taps which are original and innovative in technology, materials, shapes and colour; the widest freedom of inspiration is given, with a view however to mass-production. Registration in the contest is open from now on and the projects should arrive no later than April 30th, 2007. UK: Transform the Future - Colourful Sustainable Design in Education. A new competition for design students sponsored by Dalsouple Rubber Flooring in partnership with Sustain Magazine. Objectives: using inspirational design to improve collective spaces in schools and colleges; bringing together design students and school pupils to collaborate on design projects that could deliver practical and exciting improvements at local level; raising the profile of sustainability as a critical issue in the specification of design materials. Closing date April 30 2007. Singapore: Lightouch Design Competition Calls for International Participation. DesignSingapore Council and FLOS invite designers from around the world to create innovative lighting solutions for Lightouch Design Competition 2007. For the 2007 design competition, designers are called to create a functional, adaptable, modular and scalable lighting system. The competition has been extended to 30 April 2007, with the grand prize of a learning tour to the FLOS factory in Milan. Singapore: Nominations for the President’s Design Award 2007 are now open for advertising, architecture and urban design, fashion design, furniture design, interior design, jewellery design, landscape design, packaging, product and industrial design, toy design and visual communications. The President’s Design Award established in 2005 is Singapore’s most prestigious award for its designers and designs. It recognises the significant achievements and contributions of the nation’s design talents. The spirit of the Award encourages design excellence that improves quality of life, enhances human potential and national competitiveness. Nominations deadline: 28 April 2006. Italy: The Foundation “Ospedale Maggiore Policlinico, Mangiagalli e Regina Elena” of Milan announces an International single-phase Design Competition for the redevelopment of the Foundation area in Milan. The objects of the Competition are the preliminary design of portions of the hospital complex and the definition of the overall urban design in line with the objectives and goals laid out in the PDD. Deadline for submitting materials April 27th 2007. UK: Barking Riverside -A new community for London being developed alongside two kilometres of Thames waterfront in Barking and Dagenham. Barking Riverside is far more than a large new housing development it is about ‘place-making’ on a huge scale. The public realm and generous community facilities are an integral part of the vision with new schools, shops and healthcare amenities tailored to meet the needs of the whole community. The competition will select the two independent Design Teams to be appointed to work with Barking Riverside Ltd on the first two (Eastern and Western) of four stages of sub-framework plans, set within the context of the approved masterplan and the Urban Design Guidelines, which will total the first 4,000 homes to be built on the site. Barking Riverside Ltd is a joint venture company of the national regeneration agency English Partnerships and Bellway Homes plc. Expressions of interest by 26th April 2007. UK: Sheffield Media and Exhibition Centre Limited wishes to identify through an Open Design Competition an architect, or architect-led team with whom to develop design ideas for a new, circa £3m building to extend the facilities provided by the Showroom Cinema and Workstation cultural industries business centre. The winning architect/team will initially be appointed to develop their design proposal up to and including a planning application. Subject to the necessary funds being raised and successful planning applications, the intention would be to retain the winning architect/team through to project completion. Requests to participate by 18th April 2007. USA: New York Designs: Starts & Finishes Call for Submissions The Architectural League created the New York Designs juried lecture series in 2003 to provide a forum for the presentation of innovative and accomplished work built in New York City. This year’s program focuses on the evolution of a project, from start to finish. Where does a design begin? How does it evolve? What methodologies are employed to sustain the integrity of the original idea and steward it through the design and construction process? To be considered for presentation in the Architectural League’s New York Designs lecture series, individuals and firms are invited to submit one work that was recently built in New York City. There are no limitations in terms of project type, program, size, or budget. Submissions must be postmarked (not metered) by April 16, 2007. Ireland: Grangegorman Competition -the Grangegorman Development Agency in cooperation with the Irish Government announces an international architecture competition for the development of a modern new campus, along with health and other facilities at Grangegorman, a 30-hectare site located one kilometre from Dublin city centre, for the Dublin Institute of Technology and the Health Services Executive (HSE). The design team can be led by either an architectural or urban design practice with masterplanning expertise and complemented by an appropriate mix of technical and professional expertise. Expressions of Interest Submittal Deadline16 April 2007. USA: Cleveland Design Competition: Project 2007. Architects, landscape architects, engineers, urban planners, artists, students and others are invited to present design ideas for an under-utilized riverbed hillside and bluff along the western edge of Cleveland’s Industrial Flats historically known as “Irishtown Bend”. Entrants are encouraged to address important practical issues such as pedestrian and vehicular access, soils stabilization, view corridors, and programming while exploring the site’s importance within the Cuyahoga River Valley and for surrounding neighborhoods and as a national example of the natural cycle of the regeneration of abandoned urban landscapes. Project 2007 is an international, open, anonymous, single-stage ideas competition. Registration Deadline: April 16, 2007. USA: RE:VOLT -Raising the Potential of New and Renewable Energies. How would you intelligently and sustainably power a city block? Think big ideas. Think small environmental impact. Think about ways to make a difference in how we fuel the future. Registration deadline: April 15th 2007. UK: OMAC  New Arts Centre, Belfast, Northern Ireland. Open Design Competition. The Old Museum Arts Centre (OMAC), invites submissions for a two stage open competition for the design of a new purpose built Arts Centre in Belfast, Northern Ireland. The Competition is being organised with the support of the RIBA Competitions Office. It is the intention of OMAC to make a single appointment of an architect-led multi-disciplinary, integrated design team. The competition will be held in two stages. Stage one seeks initial concept designs, which will be judged anonymously. In addition teams will be requested to submit in a sealed envelope supplementary material relating to their proposed team showing evidence of past collaboration. Up to six teams will be invited to take part in a second stage to develop their first stage ideas and attend a final interview with the Jury Panel. The deadline for the submission of first stage ideas is 2.00pm on Friday 13th April 2007. Singapore: National Gallery Design Competition. Architects around the world invited to conceptualise a design for the National Art Gallery, to be housed in two iconic heritage buildings set in the heart of Singapore’s Civic District, City Hall and the former Supreme Court building. This architectural competition is organised by the Ministry of Information, Communications and the Arts (MICA) in association with the Singapore Institute of Architects. The competition will be conducted in two stages. The first stage, an open ideas competition, will look for initial design ideas, and be judged on design philosophy and task appreciation. Entries at Stage I are kept anonymous and competitors’ identities will be revealed to the jury after they have been shortlisted for the second stage. Shortlisted competitors will move to Stage II, a design development competition, where they will be asked to develop their initial concepts and demonstrate the workability of their proposals against a budget. At the end of the two-stage competition, the jury will select not more than three winners, where one winner may be commissioned to design and build the National Art Gallery. The closing date for Stage I is 13 April 2007. Spain: Concurso Internacional para la remodelacion del Estadio del Futbol Club Barcelona -Tender for the Remodelling of the Stadium of Barcelona Football Club The road to converting the Camp Nou (FC Barcelona stadium) in the most modern stadium of the world has started. During the coming months, architects from around the world will have the opportunity to offer their proposals for a profound remodeling of a stadium that will celebrate its 50th anniversary on september the 24th of this year. It is the objective of the club to reach this goal through a fair and open process. The selection of the proposal for the remodeling of the Camp Nou will be done through an international tender, organized by FC Barcelona, that will be supported by the Association of Architects of Catalunya, which will contribute the necessary expertise for selecting the architect, or team of architects, who will be commissioned to undertake the design and guidance of the project. The documentation must be presented at the offices of FC Barcelona at Carrer Arístides Maillol, s/n,08028 in Barcelona, before 12.00 o’clock on the 10th of April, 2007. Iran: International Open Design Competition for a Suspension Footbridge.Makan Shahr Company is pleased to announce the launch of an open design competition to find a perfect design for suspension footbridge across the Khiyavchai canyon within Meshkin Shahr City resort in Iran. This footbridge is going to be main approach to the major tourist resort (Sabalan Shadi) which is developing by Makan Shahr Company as an investment and engineering corporation. The competition is open to all interested individuals or teamwork that is capable of undertaking such projects. Submission deadline 5th April 07. USA: Los Angeles 2057 -50th Anniversary Design Competition -Envision/Imagine the Future of Los Angeles. In April 2007, the Department of Landscape Architecture at Cal Poly Pomona celebrates their 50th anniversary looking back upon visions and values of society, culture and the environment through the eyes of designers. This is a call for projects that envision life in the Los Angeles region fifty years from now to incite discussions about the future of landscapes, society and the environment. Competition submission due April 1, 2007. UK: Velodrome Design Team. The Olympic Development Authority wishes to appoint an integrated Design Team including architects, services engineers, structural engineers and landscape designers to design one of the venues the VeloPark, and to design its legacy conversion. The integrated design team will undertake all design and planning work for the VeloPark facilities, including but not limited to: an International Cycle Union compliant Velodrome; a BMX circuit; a road cycle circuit; and a mountain bike course as well as providing additional facilities for the community. Register online by 30th March 2007. China: GBD Art District Phase 1 Architecture Competition. Objective: design a 50m2, 10m high, 500m3 space. The result: it should provide external open space, guarantee a flexible workspace, and a private living environment. A sample design might include: a public exhibition space on the first floor, a studio space on the second floor, a living space on the third floor, and a private garden or a swimming pool on the roof deck. Over two hundred 500M3 units will combine to form the GBD Art District Phase 1 Architecture Competition project, to be completed before the 2008 Olympic Games. Registration Deadline, Ph 1: March 30, 2007. Shanghai: Made in Britain -British Pavillion, World Expo Shanghai. The aim is to create a pavillion sensation that will represent the best of British Design. The Foreign and Commonwealth Office wishes to appoint a multi-disciplinary team to design the British Pavilion at the Shanghai World Expo in 2010. Expressions of interest are sought from teams of Architects, Designers and Curators in order to arrive at a shortlist of teams who will then compete in a design competition. Submissions of interest due by no later than noon 30 th March 2007. Iran: Melli Award. Melli Industrial Group , with about 50 years experience in commercial and trading affairs , oriented to excellence of architecture culture and responding to its needs , has decided to pass off a competition for designing its site located in the beginning of Fat’h High way in about 24,000 square meters area for about 108,000 square meters building. The expected utilization of this site is a Commercial , Official & Residential Complex which its Official & Commercial section will act under the title of Iran Industrial Trade Center. Registration by March 27th 2007. UK: Landmark Wales Phase Two Open Competition. Landmark Wales is an ambitious plan to mark major entry points to Wales and key Welsh transition points. With a Budget up to £18m, it is a Public Art Programme of unprecedented scale and ambition in the UK and has been shortlisted for BIG’s Living Landmarks Programme. The Landmark Wales partnership of seven Local Authorities, Capital Region Tourism and North Wales Economic Forum has been given development funding from BIG and the promoters are launching the second of two parallel appointment processes to recruit artists/design teams. The scale of the sites and our ambitions for them mean that we are seeking practitioners with the best ideas and the ability to design buildable projects. Phase Two Sites are The A5/A483 at Chirk The A40 at Monmouth The A470 at Taff’s WellBrynglas Hill at Newport and The A465 Junction at Dowlais, Merthyr Tydfil. The Deadline for Phase 2 Submission of Design Competition Proposal entries is 21st March 2007. Spain: Concurso internacional de ideas de la Ciudad de la Justicia de Vigo. Propuestas hasta las 14 horas del 20.3.07. UK: Mixed tenure housing development, Eltham Baths site, London SE9. The RIBA Competitions Office is pleased to announce the launch of an Invited Design Competition on behalf of Ujima Housing Association Ltd. Ujima wishes to select an architect-led team with whom to develop design ideas for a site at Eltham Hill, Eltham, London SE9. The 0.9acre development site is currently occupied by Eltham Baths. This public swimming pool facility is due to be reprovided elsewhere during 2007 and Ujima Housing Association Ltd has exchanged contracts unconditionally with LB Greenwich to acquire the site after reprovision has taken place. The Expression of Interest deadline is 14.00hrs on Tuesday 20 March 2007. USA: Show You’re Green 2007: Call for Submissions. Would you like to be published? Become a part of the growing Green Housing showcase in the Affordable Housing Design Advisor, a Web-based design tool for developers, architects, and funding agencies. (For a look at previous recipients and the 2007 jury, visit the Affordable Housing Design Advisor.). The AIA is looking for examples of green housing built prior to February 2007. Submissions are invited from around the nation. Selected projects will be juried and showcased online in the Affordable Housing Design Advisor, demonstrating the diverse ways in which green practices are being used and integrated in excellent affordable housing design. The selected projects will also demonstrate how regional, geographic, climatic, or cultural influences generate different responses to unique needs. Submissions due: March 16, 2007. Europe: ULI European Student Urban Design Competition is intended to promote an interdisciplinary approach to urban design and development problems, while encouraging cooperation and teamwork among future real estate professionals and the many allied professions, such as architecture, landscape architecture, urban planning, historic preservation, engineering, real estate development, finance, and others. Each year a large-scale site will be chosen in an urban regeneration area located in Europe. These sites will present complex challenges, needing practicable, innovative solutions that reflect responsible land use. The solutions are to be multifaceted, incorporating design, planning, market potential and feasibility, and development strategies. Deadline for application: Friday, 16 March 2007. Mexico: Design Competition for Alternative Material Affordable Housing. The Housing Authority of the City of Las Cruces / Doña Ana County Housing Authority, the New Mexico Housing Corporation and their partners launched this competition for university and/or community college students (of any discipline and level). The anticipated result of the competition is for teams to submit a design for superior, original, innovative, energy-efficient and affordable homes in the rural community of Vado, New Mexico. Submissions will be accepted until March 15, 2007. Canada: ACADIA International Design Competition 2007. ACADIA, the Association for Computer Aided Design in Architecture, is pleased to announce its third international design competition. As in previous ACADIA competitions this will be held entirely on-line and as a co-opetition, will be juried by the contestants themselves. It is open to student, academic and professional designers. The competition is designed to encourage dialog among peers via the polling ballots, an on-line Forum, and e-mail. In addition, several of the competition’s software sponsors have offered support services for competitors who need help in developing their projects. This multi-level exchange between peers and sponsors will make for a rich, stimulating experience. The First Prize is substantial: a cash prize and a suite of licenses from the top architectural software developers, including Autodesk (Revitt), Auto.Des.Sys (Form Z), Bentley Systems, Inc. (Microstation), Robert McNeel & Associates (Rhino), Gehry Technologies, Google (Sketch-up and Google Earth), and Graphisoft (Archicad). Registration final date March 15th 2007. Mexico: Primer concurso de Fotografía de Arquitectura y Color. Comex convoca al Primer Concurso de Fotografía de Arquitectura y Color titulado “Ciudad x Color”, a realizarse en el marco del 8º Congreso Internacional de Arquitectura y Diseño Arquine “Ciudad x City”. Las fotografías deben enviarse en formato digital hasta las 12 horas del día 13 de marzo. USA: Decatur Modern Design Challenge -Single Family Detached Home. Atlanta and the South East -the objective is to create an updated classic modern designed home with a timeless aesthetic that can be efficiently reproduced with a panelized building system within the budget and buildable area specified. Submission Deadline March 12, 2007. Spain: Concurso de ideas para la construcción del edificio judicial en O Barco de Valdeorras. Entraga de propuestas hasta las 14 horas del 9.3.07. UK: Invited Design Competition The Royal Armouries, Leeds ‘The Street’ Redevelopment. Architects and architect-led design teams are invited to submit Expressions of Interest for the re-design and re-development of a new Entrance and ‘Street Area’ at the Royal Armouries Museum. Expression of Interest deadline is 2.00pm, Tuesday 5th March 2007. USA: IA/UK ANNOUNCES THE 2007 Excellence in Design Awards Programme. The American Institute of Architects, London/UK Chapter is pleased to announce the 2007 Excellence in Design Awards Programme. Entries are sought from architects throughout the world for built projects in the UK. In past years this broad mix has resulted in winning projects from, amongst others, DeRijke Marsh Morgan, Foster & Partners, Rick Mather, Zaha Hadid, Allford Hall Monaghan Morris, Sauerbruch Hutton, Will Alsop and David Chipperfield. Submission by 5pm on Wednesday 28 February 2007. USA: Design Competition for Courtyard Housing. Consultants are needed to administer and promote a design competition for courtyard housing in Portland, Oregon. Sponsored by the City of Portland, this design competition will include a focus on exploring how higher-density courtyard housing can be designed to be an attractive option for families with children, as part of efforts to expand the range of infill housing types being built in Portland’s neighborhoods. Portland’s Bureau of Planning is seeking proposals from consultants with experience in administering design competitions and in producing promotional material and publications. For more information on the request for proposals (RFP# PLN001 – proposals due February 26, 2007) . UK: Olympic Greenway. The ODA has encouraged up-and-coming landscape and urban design practices to bid for a contract to design the regeneration of a key public walkway that runs through the Olympic Park. The ODA are seeking expressions of interest for a designer to undertake the phased design of the 3 km Greenway, which runs from Victoria Park to West Ham and is currently in a neglected and underused state. The project is also likely to include regenerating a section of towpath alongside the Lea River. Deadline for expressions of interest noon 26 February. Italy: Concorso Piccole Stazioni Ferroviarie | Competition Small Railway StationsConcorso di idee per la progettazione di strutture ed elementi coordinati di arredo per la realizzazione di piccole stazioni e fermate ferroviarie. Competition for the design of structures and co-ordinated furniture elements for the construction of small railway stations and stops. Entry 15/02/2007. USA: Proof -Young Architects League of New York Young Architects Forum have issued a call for entries for their annual compaetition. Projects of all types are welcome -theoretical or real. Deadline February 12th 2007. UK: Bridge Design Competition for New Islington, Manchester. The ambitious search is on for a team of architects and engineers to design and deliver a new footbridge over the Rochdale Canal which will link New Islington, Manchester’s Millennium Community with its neighbour Ancoats Urban Village. The open competition, organised by the RIBA with the support of the ICE (Institution of Civil Engineers), together with the partners for New Islington, Urban Splash, English Partnerships and New East Manchester, is an exciting challenge. The judges are looking for a solution which addresses the very practical constraints at the site, such as different levels, clearances and access points but at the same time creates an object of beauty, in the spirit of the architectural aspirations set out in Will Alsop’s framework for New Islington. Submission deadline 9th Feb 2007. UK: Development, Delivery and Management Study for a Cross River Park, East London Invitation to tender. Design for London, supported by the Mayor of London and his Chief Advisor on Architecture + Urbanism, Lord Rogers, and its partners on the Cross River Park Steering Group are inviting consultants to tender for a study to investigate the creation of a new metropolitan park alongside the proposed Thames Gateway Bridge, spanning the river between East Beckton and Thamesmead. Closing date for tender submissions is Friday 16 February 2007. UK: Design Competition for New Horizon Youth Centre, King’s Cross, London. The RIBA Competitions Office is pleased to announce the launch of a new competition which seeks design ideas for the New Horizon Youth Centre, King’s Cross, London. The purpose of the competition is to investigate opportunities for the Centre to deliver its mission as effectively as possible in the future from its existing headquarters, by the adaptation of its existing spaces. Founded in 1968 by the late Lord Longford, New Horizon Youth Centre is a day centre working with young people who are vulnerable, homeless or at risk in King’s Cross. What is particularly challenging about this competition is the centre’s location within an existing listed, Camden Council owned building which is in the heart of King’s Cross, one of Europe’s largest ongoing regeneration projects. The competition is be open to young architects and students of architecture and the brief can be downloaded from the RIBA Competitions Office website from w/c 16 October. Registration deadline: 13 February 2007. USA: The Association of Collegiate Schools of Architecture (ACSA) and the Portland Cement Association (PCA) announce the “CONCRETE Thinking for a Sustainable World” international student design competition. Sponsored by PCA and administered by ACSA, students are challenged to use their inner-creativity to devise innovative solutions for sustainable development using Portland cement-based materials. The competition is open to all ACSA-affiliated schools around the world, including Canada. Unlike other competitions, the scope is for a portion of an academic term and not for an entire course or thesis. Students also have the flexibility to provide solutions as a single element of a building or a comprehensive building design. The competition registration deadline is Feb. 8, 2007. USA: 2006-2007 Student Design Competition Preservation as Provocation: Re-designing Saarinen’s Cranbrook Academy of Art In 1942, Eliel Saarinen, the renowned Finnish-American Modern Architect, designed the Library and Museum of the Cranbrook Academy of Art to be the centerpiece of the campus, which is now a National Historic Landmark. Considered to be one of the most technologically advanced and aesthetically daring Modernist building complexes at the time of its completion, its expanding collections and growing numbers of visitors now require a major transformation of the original. This competition, the first to address the emerging field of preservation design, invites architecture students to imagine this transformation. The challenge is not to adapt the buildings to fit current trends in library and museum design. Rather more ambitiously, it is to discover how the preservation of these extraordinary buildings can provoke a profound rethinking of our current conventions about design. The aim is to envision a new type of library and museum that would be unimaginable without the existing structures. Registration Deadline: 08 Feb 2007. Serbia: Competition for the Design of the New Museum of Contemporary Art of Vojvodina in Novi Sad. The subject of the competition is the development of the creative urban-architectural plan for the complex of buildings of the Museum of Contemporary Art of Vojvodina in Novi Sad. This is a single stage, anonymous international regional competition, open to architects, individually or in teams, who are according to the relevant laws registered in Serbia, Slovenia, Croatia, Bosnia and Herzegovina, Montenegro, Macedonia, Albania, Greece, Bulgaria, Romania, Hungaria, Austria, the Czech Republic and Slovakia and who are qualified to design and supervise projects of the type under consideration in the present competition. Deadline for the reception of registrations and dispatch of competition documents 7th of February, 2007. USA: “Build with Thine own hands” -interspiritual temple / open-air sanctuary, New Lebanon (US). The Sufi Order International (SOI) has begun a design competition for the rebuilding of a sanctuary (burnt in 2003) located at the Abode of the Message, a residential community, retreat center, and headquarters of both the SOI offices and the Suluk Acadademy school of esoteric studies. As the heart of the SOI community and physical symbol of its spiritual ideals, the sanctuary is intended to be a sacred site of meditation, ceremony, and communion with nature. Designs should incorporate the remaining foundation, be open to the air, and harmonize with the surrounding mountain retreat site. The winning design will be developed into plans for actual construction in Summer, 2007. Submission deadline is: February 5th, 2007. USA: The American Architecture Awards 2007. The Chicago Athenaeum: Museum of Architecture and Design, together with Metropolitan Arts Press, invites entries for “The American Architecture Awards” an Exhibition and Distinguished Buildings Awards Program for 2007. Apply on line at www.chi-athenaeum.org. The deadline for submissions is February 1, 2007. Italy: Municipality of Bologna and Emilia Romagna anounce a competition of ideas about projecting architecture titled “a Square for Bologna and Emilia Romagna” concerning redesign of public spaces in the area of Fier District directional center. The intention is redefine functional and representative terms which characterise this important urban place of Bologna, reproposing the same architectonical quality starting from the district needs to a better visibility of the region principle administrative board located there. an articuled urban analysis and relative direction lines represente the equipment enclose to proclamation to allow the deeper approach to the projestual subject. Expiry for the sending of the applications of admission: no later than 31st January 2007. Mexico: El 9º Concurso Internacional Arquine, planteado en el contexto de la Plaza de las Tres Culturas, en Tlatelolco, ciudad de México, convoca propuestas para un Centro Infográfico Metropolitano de archivo y exposición permanente de las distintas expresiones gráficas del territorio de la ciudad de México, que abarca los códices prehispánicos, los planos de la ciudad colonial, porfiriana, revolucionaria, moderna y contemporánea, así como los planos del metro, gráficas de las áreas sísmicas, mapas de usos de suelo y de las infraestructuras de agua y drenaje. Período de Inscripción -del 2 de octubre 2006 al 31 de enero 2007. Canada: Call for creation of contemporary ephemeral gardens. The Société du 400e anniversaire de Québec wishes to receive proposals to create six contemporary ephemeral gardens. Once the winning proposals have been selected, the gardens will be created in summer 2008 on the Espace 400e site. The theme for 2008 will be Encounter. Registration deadline January 31, 2007. Mexico: “A Metropolitan Infographic Center”. This year’s the 9th International Arquine Competition, set out in the context of the Plaza de las Tres Culturas, in Tlatelolco, Mexico City, calls for proposals for a Metropolitan Infographic Center, an archive and permanent exhibition of the different graphic expressions of the Mexico City territory, including prehispanic codices, plans of the colonial, Porfirian, revolutionary, modern and contemporary city, as well as metro plans, graphics of seismic areas, maps of the usage and timing of urban transport, water and drainage infrastructures and lot division. Registration Period to January 31, 2007. China: Competition Brief for the International Solar Building Design Competition 2007 In Conjunction with the ISES International Solar World Congress 2007, The goal of this worldwide design competition is to broaden the range of ideas of solar design, specifically in relation to human habitation. Optimally, entries willfocus on the integration of ideas of solar technology and new solar building design products with innovative new concepts of design. Participants should feel free to submit either low-rise or multi-storey dwelling entries. Registration for the competition ends January 31, 2007. Greece: Renewable Energy Sources and Bioclimatic Architecture to shelter People affected by natural Disasters. The Technical Chamber of Greece and the UIA Work Programme on architecture and renewable energy sources (ARES) announce the launch of an international ideas competition that invites architects to develop new construction methods and practices for efficient shells and settlement units that will satisfy the urgent housing needs engendered by different geographic, topographic, ecological, social, or political crises. Architects from around the world are invited to submit viable solutions for inhabitants that can be set up quickly and economically, and respect the environment and natural resources. Registrations will be accepted until 31 January 2007. Italy: Vecchio Old -Opus 2006 Competition This year OPOS wants to tackle the concept/subject of the “old”. OPOS is asking designers to consider this theme. A consideration which needs to try and translate into actual projects and objects this new and anti-intuitive condition of contemporary human society and condition. Participation is open to all designers, architects, students, design amateurs, in team or individually, of any nationality. The deadline for submitting projects is 31 January 2007. Spain: Concurso Internacional de estaciones para el corredor ferroviario Costa del Sol. Fecha límite de presentación de candidaturas 26-01-07. USA: Pamphlet Architecture 29 Founded in 1977 as an alternative to mainstream architectural publishing, Pamphlet Architecture encourages architects and writers to put forth their ideas, theories, and designs in modest, affordable booklets. Pamphlet Architecture is again offering an opportunity for architects, designers, theorists, urbanists, and landscape architects. We’re looking for the best designs, manifestos, ideas, theories, ruminations, hopes, and insights for the future of the designed and built world–to be published as the next Pamphlet. Deadline Jan 26th 2007. USA: Call for Entries for CNU’s 2007 Charter Awards -The Congress for the New Urbanism invites you to submit your work for the 2007 Charter Awards. New Urbanism’s highest honor, the Charter Awards recognize excellence in architecture, planning, landscape, architecture and development, as well as the policies plans and codes that structure them — projects that enrich their physical and social contexts by embodying the principles of the Charter of the New Urbanism. Charter Award winners are showcased on the CNU web site, in a publication that profiles all winning entries and at an awards ceremony held at the annual Congress. Submissions must be shipped or postmarked by January 22, 2007. UK: Future Towns. Media Might is looking for architects to produce master plans for the town of the future. Applicants will be given a list of specifics design features and then must design a master plan to the brief (brief and rules). The closing date for entries will be 20th January 2007.
new UK: Urban Design Strategy for Stratford Town Centre. The London Borough of Newham are currently seeking tender submissions for an Urban Design Strategy for Stratford town centre in east London, a well-established centre immediately next door to the Olympic area, where there is already a huge amount of investment and development happening. This study will provide a framework to steer the public realm and urban design aspects of all the changes taking place, including the future identity of two conservation areas in the historic town centre area. The deadline for submissions is Tuesday 16th January 2007. Russia: House From Pure Wood -Open Contest. Due to an increasing interest to the matter of wooden house-building, the founders and organisators of the contest – the magazine “Smart Home. Made in Niznij”, the Videojournal”Build up!” (editied by the TV-company NNTV) and the Building-Trade Company “Stavr”(the official representatives of the Russian-Finnish Company “Greenside” (Niznij Novgorod)) – made a decision to hold an open contest of architectural projects “The House of Pure Wood”. Applications are registered till January, 15, 2007. Website is in Russian, but you can find details in English here. International: Second Living Steel International Architecture Competition The competition is a unique opportunity for architects to bring their vision for innovative and responsible housing design and construction, to life. The three winning entries will be chosen by an independent jury panel comprised of internationally respected architects, Glenn Murcutt, Charles Correa, Andrew Ogorzalek, Jaime Lerner, James Berry and Nicholas de Monchaux. Winning designs from the second competition will be built in Brazil, China and the United Kingdom. The Living Steel International Architecture Competitions for Sustainable Housing is a series of competitions aimed at inspiring architects to develop efficient and effective housing solutions with the winning designs being constructed as practical and working demonstrations. Architects are invited to submit an Expression of Interest for the second competition online by 12 January 2007. UK: New Children’s Play Area -Launched on behalf of Urban Splash, Trafford Metropolitan Borough Council and the Groundworks Trust, this new open competition seeks designs for a new children’s play area in John Leigh Park, Altrincham, Cheshire. Submission deadline: 12 January 2007.
International: Living Steel, a worldwide programme to stimulate innovation in the design and construction of housing, today announced its second International Architecture Competition focused on the development of sustainable housing. Architects from around the world are invited to accept the challenge of developing new urban housing by expressing their interest to participate in the competition. With a total prize fund of ¤300,000, the competition will be judged by a panel including Glenn Murcutt and Charles Correa. Competition finalists will be invited to design new concepts for residential buildings in Brazil, China and the United Kingdom. Deadline for expressions of interest 12th Jan 2007. UK; Stoke-on-Trent – City Centre Design Competition. The RIBA Competitions Office, in conjunction with Stoke-on-Trent City Council and its partners, is launching a competition to search for a multi-disciplinary design team to create a high quality public realm in Stoke-on-Trent City Centre. The promoters want “the best” and will be looking for an outstanding team which shares its ambition to produce an inspirational quality design that will transform the centre of Stoke-on-Trent into a city that will be internationally acclaimed for its standard of public realm. Selection of the successful team will be through a two stage open design competition. The competition will be open to all architect-led multi-disciplinary design teams. It is the intention that the winner of the competition will work with the City Council to take the project through to delivery and completion. Stage 1 submission deadline: 11th January 2007. UK: Pennington Road Footbridge, Bootle, Merseyside The RIBA Competitions Office is pleased to announce the launch of a new international open competition for the design of a new footbridge over the Leeds/Liverpool canal in the Bootle area of Liverpool. The Competition is being promoted by Housing Market Renewal at Sefton Metropolitan Borough Council in conjunction with British Waterways. Entries are invited from architects, engineers and students of these disciplines to take part in the competition, which will be held in two stages: stage one will seek initial designs, which will be judged anonymously. A shortlist of six will then be invited to attend an interview to discuss their designs in greater detail. The submission deadline is 4.00pm on 10 January 2007. USA: Chicago Prize 2007 Ideas Competition. Crossing the Drive. We can thank our forbearers for handing down the city of Chicago an unencumbered shoreline. Such visionaries as the Canal Commission of 1836 who first proclaimed the shoreline shall remain Forever open, clear and free and Daniel Burnham, who in his 1909 Plan for Chicago stated, the slopes leading down to the water should be quiet stretches of green, have played essential roles in preserving the lakefront as an open space. There also have been major violations of our open lakefront — most notably the construction of an 8-lane highway known as Lake Shore Drive. As a result there are few points in which to safely cross Lake Shore Drive. The site of the 2007 Chicago Prize design competition remains one of the most dangerous pedestrian crossings in the center of the city. This competition challenges entrants to design a connection from/between Buckingham Fountain and the Chicago lakefront by crossing Lake Shore Drive. Due Jan 9th, 2007. UK: Landmark Wales Phase One. Call for Expressions of Interest from Artists, architects and Designers for Phase One. Landmark Wales is an ambitious plan to mark major entry points to Wales and key Welsh transition points. With a possible Budget of £18m, it is a Public Art Programme of unprecedented scale and ambition in the UK and has been shortlisted for The Big Lottery Fund’s Living Landmarks Programme. The Landmark Wales partnership of seven Local Authorities, Capital Region Tourism and North Wales Economic Forum has been given development funding from The Big Lottery Fund and the promoters are launching 2 parallel appointment processes to recruit artists/design teams. The scale of the sites and our ambitions for them mean that we are seeking practitioners with the best ideas and the ability to design buildable projects. Phase One Sites, Holyhead Harbour, The A55/A550 at the Flintshire Border, The Second Severn Crossing. Deadline for Phase 1 Submission of Expressions of Interest – Monday 8.1.2007. UK: Edinburgh redevelopment of open-air theatre. architectural design services. The City of Edinburgh Council wishes to select a team to prepare a design for a new outdoor performance space in Princes Street Gardens, Edinburgh. A scoping study has been carried out to consider options for the replacement of the existing Ross Bandstand built in 1934. The study identified several options and established a budget of approximately 14 000 000 GBP for construction works. The proposed performance space will be relatively small but its unique world-class location in the shadow of Edinburgh Castle will require quite exception design skills. A design competition is considered to be the most effective method for selecting the design team for this prominent site. The closing date for notes of interest is Monday 8 January 2007. UK: Major creative landscape feature for Middlesbrough’s A66 Middlesbrough Council is seeking expressions of interest from suitably qualified landscape architects, architects, horticulturists, ecologists, engineers, designers and artists working in the public realm, to develop proposals for the landscape of the A66/Cargo Fleet transport interchange in the east of the city. The competition is being organised by the RIBA Competitions Office on behalf of the competition promoter Tees Valley Arts, and seeks proposals to invigorate the A66 road corridor from Newport to Cargo Fleet with a sense of purpose through the creation of a world class work of landscape architecture, that will meet the aspirations of the vibrant business district it serves. Major developments along the A66 are the spur for the project and it is hoped that the competition will bring forward ideas for improvements to the built and natural environment and give visitors and investors a real sense of arrival when they come to Middlesbrough. The deadline for expressions of interest is Monday 8th January 2007. USA: 07 Skyscraper Competition -eVolo Architecture in New York City invites participants to explore, speculate and experiment on ideas that would change the conception and redefine the term skyscraper. The projects must take into consideration new environmental, structural, programmatic, and formal issues. Ultimately, the projects have to give a new meaning to this fascinating architectural genre. This will include a new understanding of technology and contemporary society. The project should also investigate urban and private space as well as the definition of new programs for a vertical structure. Participants must register before January 8th 2007.